Live and Uncensored! : I Just Bought a Pair of Mary Janes. With AIR BUBBLES! I Just Bought a Pair of Mary Janes. With AIR BUBBLES! 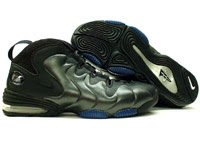 As a very young teenager, I had a pair of Penny Hardaway signature Nikes. This made me Officially Awesome on the social playground, mainly because the shoes boasted a high price tag and because, off a basketball court (if they even made sense on one), these were insanely impractical shoes. But that didn't matter, really. What mattered were the air bubbles. At the time, air bubbles were the most innovative but least practical aspects of a solely-for-vanity pair of Nike sneaks. The more bubbles, the better, and if you could run, jump and play in these shoes for at least a year without popping one or stabbing a stick into one for your own amusement, you were Awesome. I'm not really sure what practical purposes air bubbles serve. Supposedly they add more cushioning to an otherwise flat and uncomfortable sole, sort of like the difference between a mattress and an air mattress. Anywho, I was in New York this weekend and I happened to walk past a Cole Haan store when I noticed a pair of pumps I really liked. More strangely, I noticed they were on a clear platform branded Nike Air. "OMGWTF?" I said. I double checked to see if this was indeed Cole Haan. It was. So I did some homework (talking to an elderly and well-coiffed employee, who told me my name sounded "festive"). Apparently Nike purchased Cole Haan more or less six years ago. Intrigued, I made it my goal to try one of these fabled Air pumps to the chagrin of my companion, who nonetheless acknowledged I need "sensible" shoes anyway, for the Ithaca terrain. Why are guys so fond of the phrase "sensible shoes" when referring to an item of footwear women lack? I never hear a guy use the word "sensible" in any other context. An hour and a half or so later, I walked away with a pair of Air ankle boots (they're so cute!) and -- more importantly -- flat (though slightly elevated) Mary Janes for the Ithaca terrain with thick rubber soles and AIR BUBBLES. I padded around in them most of today and concluded air bubble technology has much improved since I was 13. You actually feel a bit of spring in the heel. And upon closer inspection, these much airier bubbles are next to impossible to pop with deviant behaviour alone. It's possible that none of these things are true, and I've just become a self-deluded adult who needs to justify a (more or less) extravagant purchase that revolved mainly around two (beloved) married brands and some hype about an aesthetic element that was cool all of 10 years ago. But that's okay. I'm okay with that. Nike took running/jumping/hiking shoe technology and thought, "How could the everyday sharply-dressed run-to-worker benefit from this without looking like an asshat?" Or else it thought, "How can we break into the non-sporty luxury shoe market without falling flat on our faces? 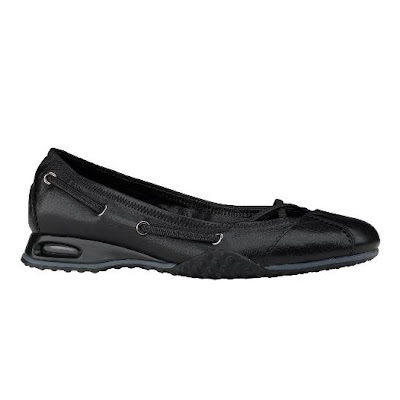 Let's buy Cole Haan and put Air Bubbles where no one would ever think to find them." Either way, that Nike can take its "if you have a body, you are an athlete" philosophy, and apply it to a pair of relatively attractive little shoes that belong on a pair of feet that aren't keen on contact sports or knee-scraping in general, says a lot about Nike's cradle-to-grave elasticity. Because now I can walk about in a pair of "sensible" shoes, sporting the luxe attractiveness of Cole Haan tailoring, without divorcing a comfort brand I actually wore on tarmac as a wee lass. And that's 1) really touching or 2) a really serious case of arrested development. Either way, it was very good for Nike.